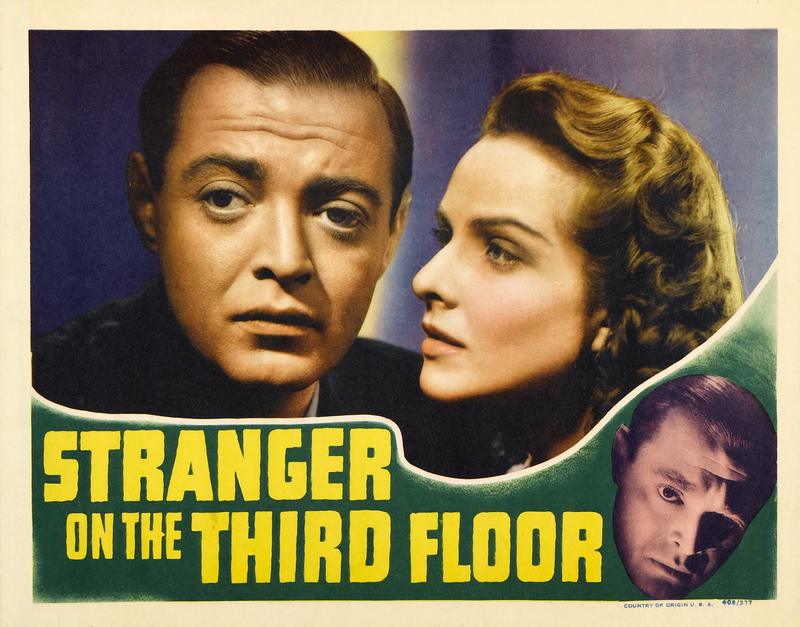 Stranger on the Third Floor is a film Boris Ingster who sadly only directed three films. After seeing this film I would like to see more from him. This film is written by Frank Partos who has written many classics for the silver screen. 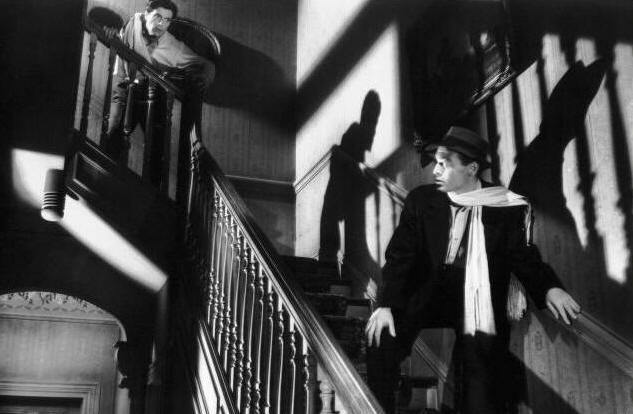 This film’s biggest star is Peter Lorre, who made this film with only a few days left on his RKO contract. His role and presence doesn’t have much screen time, but he still got top billing for his appearance in this film. So for many classic film noir historians, The Maltese Falcon is the first true film noir. This film actually came out the year before Falcon and as some have said, this is actually the first true film noir. As everything with noir, people have varying opinions. 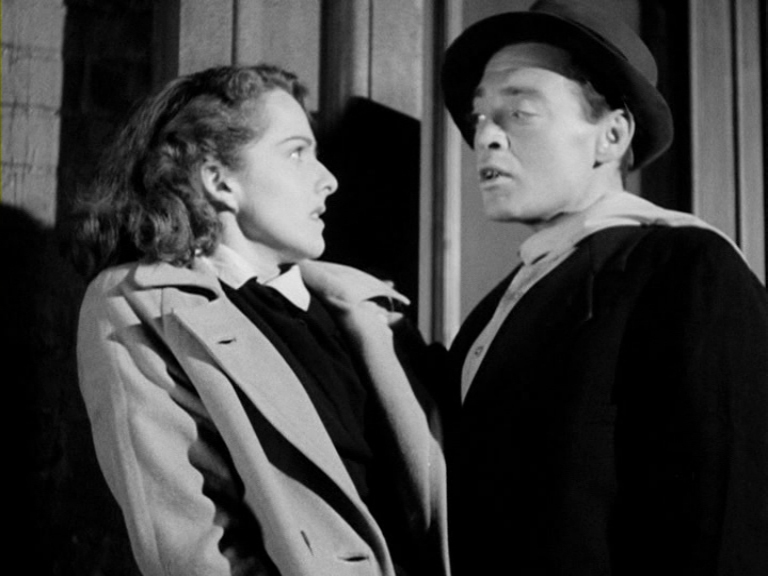 This film checks almost every box a film noir should as far as style and story. We have amazing cinematography with lots of shadows and low angles. We have a characters wrongly accused of crimes they did not commit and seemingly no way out. The story is intense with some of our characters having few allies to turn to. The ending isn’t exactly happy, well if it would have ended about 5 minutes earlier anyway. The story is told with flashbacks and has a crazy dream scene which uses a lot of noir techniques. You will get Claustrophobia feelings as our protagonist’s world comes down around him. The only fault I can see for this not being the first true film noir is we do not have a femme fatale of any sort. Personally I would say this is a film noir, so let the arguments for and against this begin. If this film still doesn’t say classic film noir, I don’t know what does. John McGuire plays a journalist who just got a raise and wants to marry his girlfriend played by Margaret Tallichet. Everything is going great for our couple. The reason he is getting his raise is he has written an article about a murder, which he happens to be the only witness to. The story goes into the court room where Elisha Cook Jr. is the accused murderer and everybody from the lawyers and judges, even the jury is phoning this one in. They find him guilty of the murder of the coffee shop owner and he goes to death row. Tallichet goes to court to watch her boyfriend in action. She feels that Cook Jr. could be innocent and McGuire’s testimony put him in prison. This gets McGuire thinking she maybe right. He goes home where he sees the stranger on the third floor played by Lorre. He chases Lorre out of the building, but feels there is something wrong in the apartment next door. The neighbor and McGuire have butted heads before and he realizes how easy it would be, to be framed for his murder. As our story continues we ask questions like, Could the neighbor really be murdered? Will he be framed for it? Is Cook Jr. innocent after all? This film is very good and worth watching whether you think it is a film noir or not. That just makes the conversations about this film more interesting. Our four big stars are all great in this, with Lorre and Cook Jr. at their creepiest best. I also found Tallichet a very gifted actress, it is a shame she retired from the business so early in her career. If you love classic film, noir or not, you will like this film.